Lol, that flavor text is pretty funny. 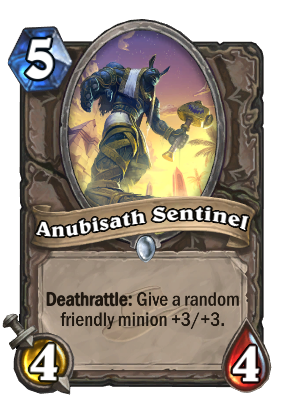 Decent enough in a deathrattle deck and COULD be useful in Secret Paladin. Though I'd probably just craft it just because I love Anubis. That flavor text cracked me up. "I've got the beast in my sight!"